Are you in the market for a new water heater? 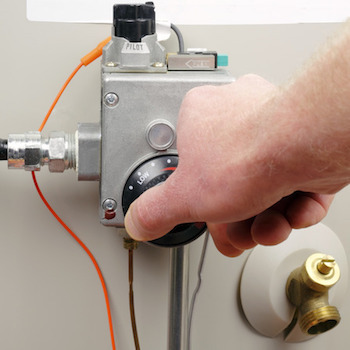 The US Dept of Energy’s new water heater regulations go into effect on April 16, 2015. The new 2015 DOE energy efficiency mandates will require higher EF ratings on virtually all water heaters, including residential gas, electric and oil. These changes will impact how water heaters are designed, manufactured, tested, distributed, and installed. The DOE originally set standards for residential water heaters in 1990, with an update in 2004. This change will set the standards for today’s technology, and will save approximately 3.3 quads of energy and result in approximately $63 billion in energy bill savings for products shipped over the next 30 years. The standard will avoid about 172.5 million metric tons of carbon dioxide emissions, which is equivalent to the annual greenhouse gas emissions of about 33.8 million cars. Product changes will vary depending on the class and volume size of the water heater. In some cases changes may be minor; in other cases it may be more profound. For example, in the electric water heater category, a 55 gallons or greater water heater will now be prohibited from being sold unless it uses an integrated heat pump configuration to meet the new EF standards. In the gas category, new models will have additional insulation, flue enhancements, electronic ignition, and condensing gas technology, or a combinations of these in order to meet the requirements. With all of these changes means that in some cases, a new water heater may be larger, heavier, or of different proportions than the one its replacing. It may require more room for installation, piping chances, additional electric work, or condensation drains installed. Yet once installation is complete, that’s where the savings begins. If you’re in the market for a new water heater, give us a call and let us help you make the right selection for your home environment.